To explain this asymmetry, some particle physicists claim that the tiny subatomic particle, the neutrino, and its antimatter particle, the antineutrino, are in fact the same particle. This might account for the overall excess of matter in the universe as a whole– and why we are here. Radioactive decay is the breakdown of an atomic nucleus releasing energy and matter from the nucleus. Ordinary double-beta decay is an unusual mode of radioactivity in which a nucleus emits two electrons and two antineutrinos at the same time. However, if neutrinos and antineutrinos are identical, then the two antineutrinos can, in effect, cancel each other, resulting in a neutrinoless decay, with all of the energy given to the two electrons. To find this neutrinoless double-beta decay, scientists are looking at a very rare event that occurs about once a year, when a xenon atom decays and converts to barium. If a neutrinoless double-beta decay has occurred, you would expect to find a barium ion in coincidence with two electrons of the right total energy. UTA researchers' proposed new detector precisely would permit identifying this single barium ion accompanying pairs of electrons created within large quantities of xenon gas. 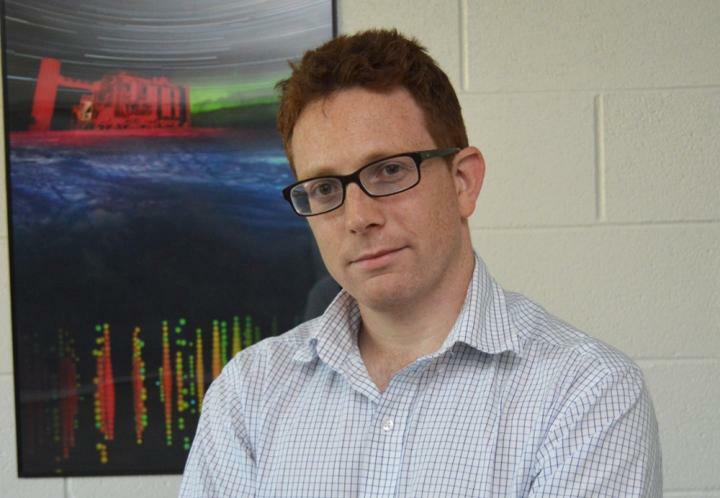 "If we observe even one such event, it would be a profound discovery in particle physics, on par with the discovery of the Higgs boson," said Ben Jones, UTA assistant professor of physics, who is leading this research for the American branch of the Neutrino Experiment with Xenon TPC – Time Projection Chamber or NEXT program, which searches for neutrinoless double-beta decay. Other UTA researchers also collaborated on the ATLAS experiment, which led to the Nobel Prize winning discovery of the Higgs boson in 2012. The researchers, who published their discovery Monday in Physical Review Letters, have demonstrated the effectiveness of their technique on a small scale and now plan to use the device in a large-scale detector, which they envision as a chamber containing a ton of high-pressure, purified xenon gas. "I realized that calcium and barium are not so different, so perhaps we could use the same technique to search for neutrinoless double-beta decay," Nygren said. "The beauty of this research is that it brings together physicists and chemists in generating creative new solutions to enable discoveries in fundamental physics," said UTA physics chair Alex Weiss. "This work clearly demonstrates the ability of students and faculty at UTA to lead the way in international physics projects and represents an important example of the world-class research enabled by UTA's focus on data-driven discovery."